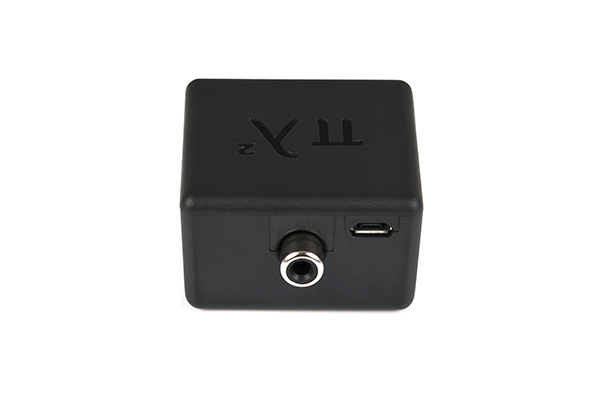 Soundwise identical, the white PL2 Leukos USB only works with computers or iPads® (USB camera connection kit required). 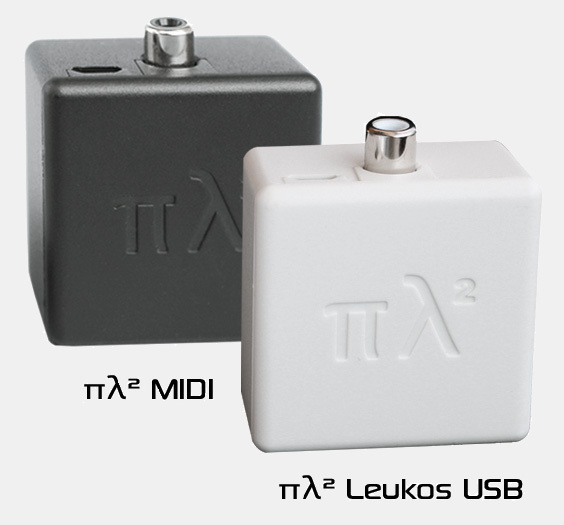 Instead of a MIDI Input, πλ² Leukos features a perfect MIDI output, so you can connect an additonal MIDI synth (e.g. a black PL2). The πλ² song Lazy Sunday from Raziel Ambientmusic is created using only the PL2! 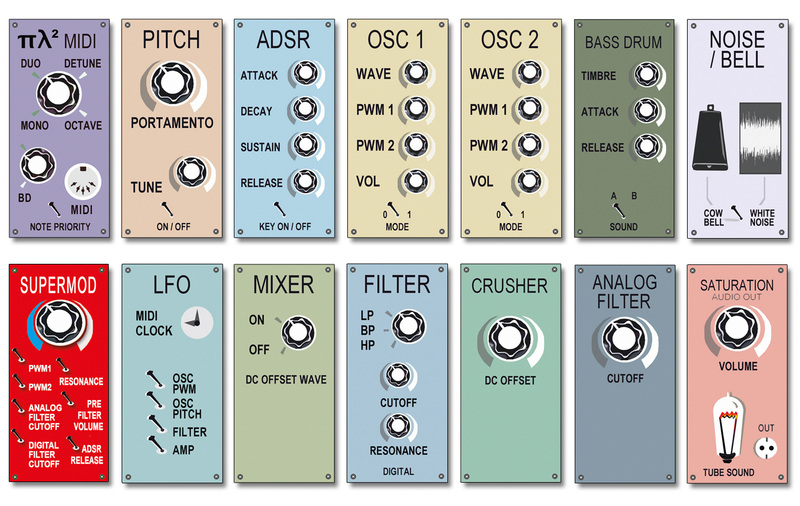 "πλ² sounds and drums" means all sounds are from the PL2, including drum sounds. 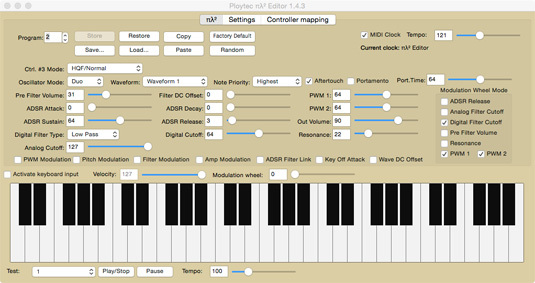 The PL2 synthesizer was first released with firmware V1.5. The V2.0 update supplements drum mode and more waveforms, V2.1 enhances the filter resolution and allows to map MIDI controllers. Here's the V2.1 release notes. 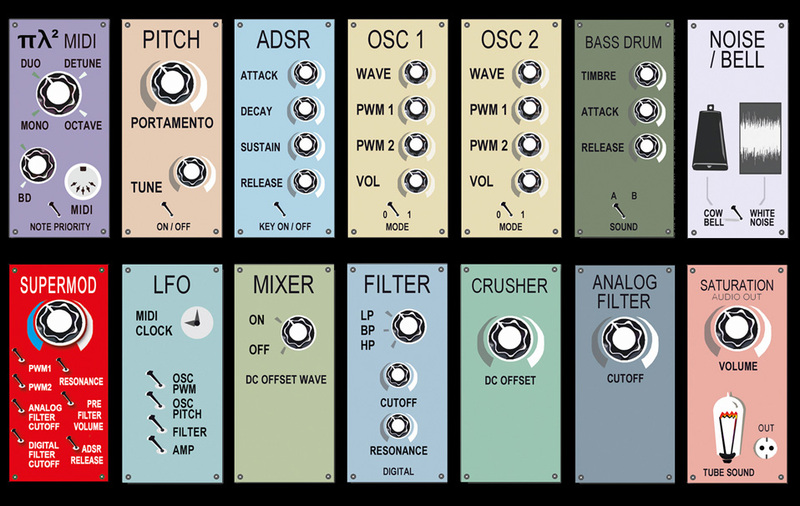 The most recent V2.5 firmware released at Superbooth17 facilitates polyphonic setups and adds a fantastic cowbell. At Summer NAMM 2014 the PL2 finally learned to talk, here's the release notes for πλ² PL02.56 alternative firmware emulating the legendary SP0256-AL2 chip. Superbooth16 brought the "re50.n80r" firmware, replacing the "Resonance" controller by a "Resonator" one. For exchanging firmware, please use the software editors above.